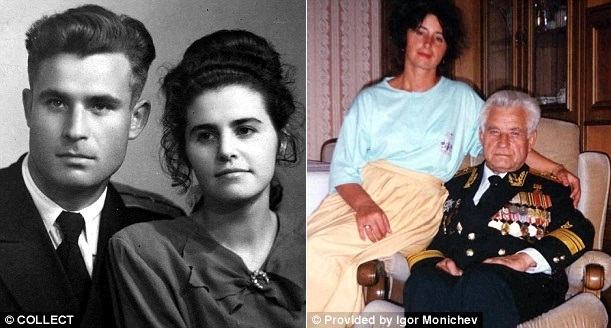 Home > Uncategorized	> The Man Who Refused To Launch Nuclear Missiles During The Cuban Missile Crisis – Saving The World! Kennedy and Kruschev bring the world close to nuclear war over Cuba. The fact that you can read this is because of a man who said “no” due to an accident. In doing so, he literally saved the world. And his reward? To be insulted. On 15 October 1962, President Kennedy went ballistic at the discovery that the Soviets were trying to balance out NATO by building a nuclear missile site in Cuba. The Cuban Missile Crisis began the next day, ending 13 days later to a collective sigh of relief. Everyone believed that nuclear annihilation had been averted through diplomatic means. But it’s actually Deputy Commander Vasili Alexandrovich Arkhipov we have to thank. It all started on 4 July 1961. Arkhipov was aboard a new Hotel-class ballistic missile submarine K-19, when its radiant cooling system developed a leak. To prevent a nuclear catastrophe, the captain ordered the crew to contain the reactor. 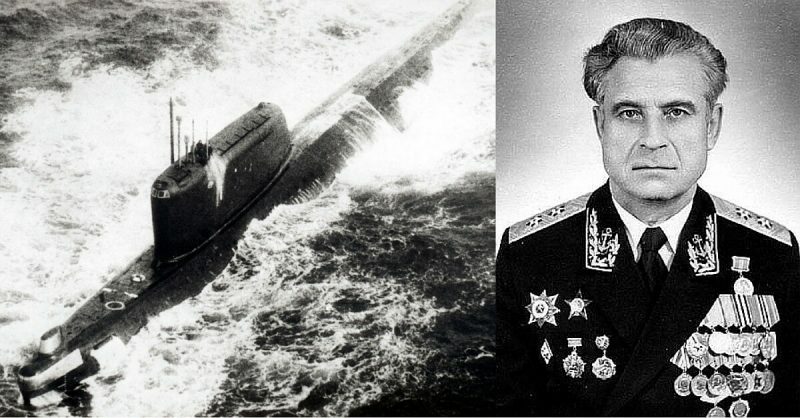 Eight sailors died within days from radiation sickness, causing a near mutiny, but Arkhipov backed his captain and the disaster was contained. For his loyalty, bravery, and calm, he was given a medal. Fast forward to 1 October 1962. Four Foxtrot submarines armed with nuclear missiles are ordered to leave their Arctic base and head to Cuba. Each has its own captain, but all submit to the authority of their flotilla commander, Arkhipov. He’s on the flagship B-59 acting as its second-in-command to Captain Valentin Grigorievitch Savitsky. Trailing him are a B-4, a B-36, and a B-130. All are diesel-powered because of the K-19 disaster. While fine in the Arctic, they become saunas in the tropical waters of the Caribbean which they reach on October 14, the day Tropical Storm Ella hits. The next day, Moscow orders them to leave Cuban waters and head east to the Sargasso Sea. That same day, Kennedy announces the quarantine of Cuba and raises the country’s defense readiness condition (DEFCON) from 4 to 3 (in readiness for war), a first in its history. Since no more messages arrive from Moscow, the submarine fleet relies on American radio broadcasts for information. 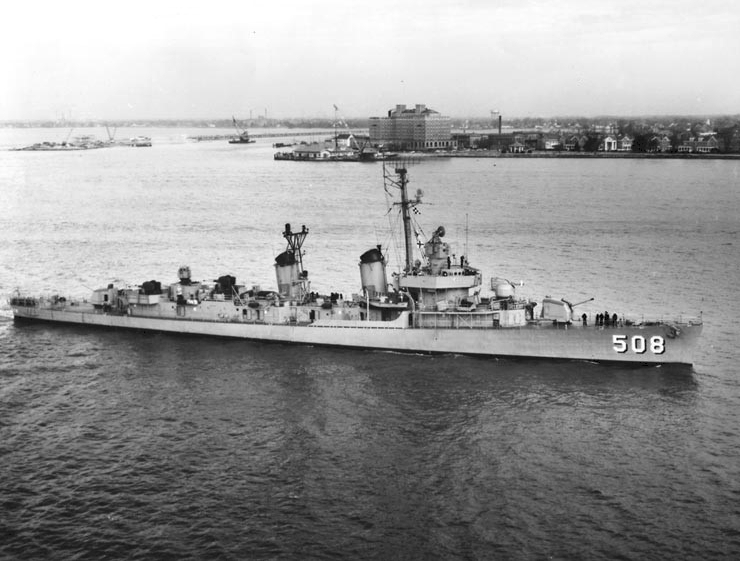 They hear about an US invasion of Cuba, the launch of US warships and planes, and the possibility of Soviet submarines in the area. By October 24, America is on DEFCON 2 – the final step before nuclear war. Arkhipov and his men are also feeling the heat as the air-conditioning fails and temperatures rise to 65°F. In the diesel section, it’s over 70°. Since average temperatures in the Sargasso Sea are in the 80s, it would only get worse. Not able to stock up in Cuba, the men are on water rations limited to one glass per man a day. The coolest part of their submarine is in the front and rear, so each man is allotted some time in those sections to keep from fainting. Though in international waters, the fleet stays hidden just below the surface to charge their batteries. But their luck runs out on October 27 when they’re finally spotted. The fleet dives, hoping to hide from sonar by using the ocean’s isothermal layers – different underwater temperature layers which confuse detection. But the weather has settled down and unfortunately for the submarines, the isothermal layers are gone. Even more unfortunate, Vasili’s B-59 hasn’t fully charged its batteries. 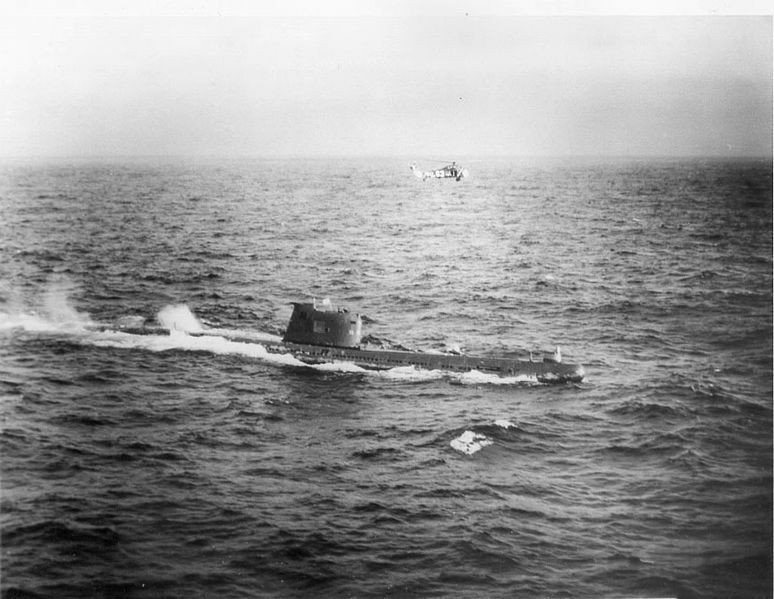 Between 4 and 5 PM, the USS Cony finds them. More US planes and ships make their way to the area, but are under strict orders not to attack. 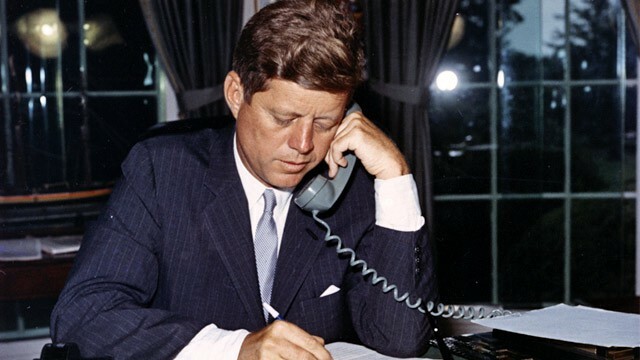 To ease tensions, Kennedy calls Kruschev and tells him about the discovery. He assures the Soviet Premier that the US military will only force the fleet to the surface and will not engage them. He falsely assumes that Moscow has been in regular contact with them. Ships begin bombarding the submarines with sonar. It’s like bashing a metal barrel with a sledgehammer while someone’s in it. Vasili and his men now have more to worry about than the increasing heat, the smell of diesel, the acrid stench of battery oil, and their dwindling water supplies. And still no word from Moscow. Getting impatient, the US Navy begins dumping practice grenades into the water, hoping that this more persuasive approach will work. They’re expecting a flare being fired from the Soviet submarine, because that’s what American subs do to signal an enemy of their desire to surface. According to Soviet protocol, however, they must drop three charges and wait for a response to prove they’re willing to accept a peaceful surrender. And since the US Navy is dropping far more than that and without pause, Savitsky believes that outright war has begun. By now, temperatures in the sub exceed 120° and the batteries are about to go out. If they don’t act soon, they’ll suffocate. What neither Kennedy nor his military advisers realize is that each of the submarine captains have the authority to unleash their nuclear arsenal – but only if their political officer and the fleet commander agrees. Savitsky gives the order to fire the missiles. His political officer, Ivan Semonovich Maslennikov, agrees. Arkhipov does not, ordering them to wait for instructions from Moscow. Arkhipov and Savitsky get into an argument. Arkhipov considers the possibility that the Americans only want them to surface. Savitsky is convinced that war has begun and that Russia’s honor depends on him firing back. 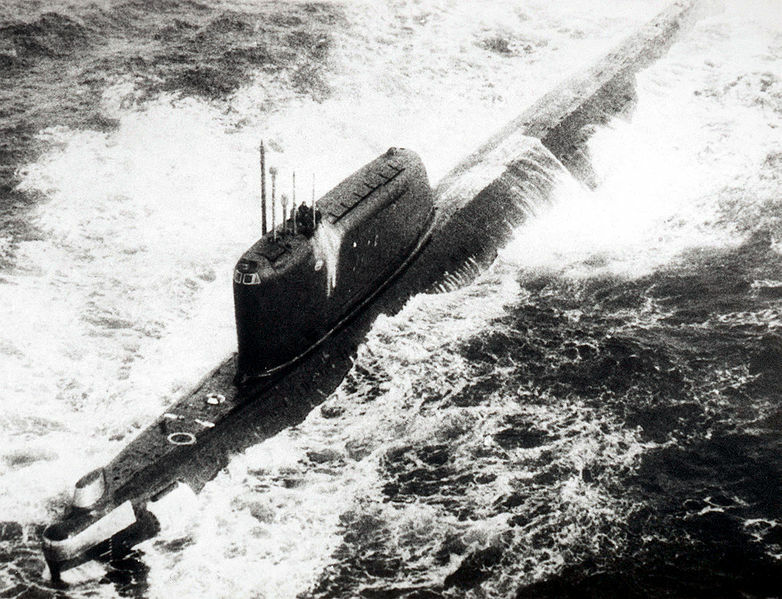 But Arkhipov is still haunted by the deaths aboard the K-19. He saw first-hand the horrors that nuclear radiation can unleash. And he has a family back in Russia. He stands his ground, Savitsky eventually backs off, and they contact the Americans who give them permission to surface. No Americans board the submarine. The Soviets are allowed to get a breath of fresh air, then ordered back in to head home. Once there, one of Arkhipov’s superiors tells him that it would have been better had he died. And that’s why you’re able to read this. How studying science led this atheist to God Ingen visste at han reddet 669 barn fra Holocaust. Men her får han sitt livs vakreste overraskelse.